David is a partner and co-founder of Ontos Global. He has spent the last 25+ years helping organizations manage and sustain transformation. 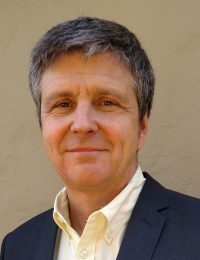 As a cognitive anthropologist, his research and practice focuses on new approaches to organizational culture and change based on the emerging science of the cultural mind, as described in his book Rethinking Culture: Embodied cognition and the origin of culture in organizations (Routledge, 2017). As an OD practitioner working with global companies and start ups, he focuses on designing and implementing successful, large scale organizational transformation programs, as well as developing adaptive leaders who can do the same. as ITT, Xylem, GE, Fidelity Investments, Pratt & Whitney, Bayer, Biogen, Kaiser Permanente, and CVS, among others. From 2003 until 2010 he was Director of Talent and Organizational Capability at Microsoft, where he led the development of Microsoft’s integrated platform for people management and leadership development. This competency, career path and key experiences platform was deployed to 100,000 people worldwide. Prior to Microsoft, David was a Principal at Mercer HR Consulting, cofounded an Internet technology company focused on integrated talent management (acquired by Mercer), created the HR function for an early internet advertising start-up (acquired ultimately by Yahoo), and spent several years at Lotus Development (IBM) in line and corporate HR roles. He began his corporate career as an executive recruiter in investment banking in New York, having come from a prior career in aviation as a flight instructor and charter pilot. David is also a professional jazz guitarist and composer with 7 CDs to his credit.